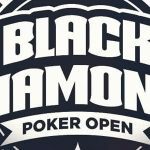 It’s not just American poker that was affected by the events of Black Friday – with winners from last year’s Montreal Open still allegedly awaiting payment for their successes. 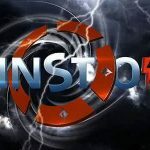 April 15, 2011, will live long in the memory of all online poker fans after the US Department of Justice (DoJ) shut down numerous poker websites, including PokerStars and Full Tilt Poker, over allegations of illegal gambling, money laundering and bank fraud. 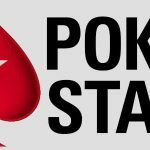 While PokerStars have recovered – and are in actual fact flourishing – Full Tilt’s demise has left many millions of poker players angry and frustrated at being unable to access their accounts with the poker room. However, the DoJ’s actions have hit poker players further afield than the USA with the 30 winners from Canada’s biggest charity poker event, the Miriam Foundation Montreal Open – which was sponsored by Full Tilt – still in the dark over whether they will ever receive their money. Last year’s sixth staging of the poker tournament ended a few weeks before Full Tilt’s closure by the US government department, leaving the 30 winners in the same situation as the poker room’s frustrated customers. However, as Jeremy Taylor, a spokesman for G-poker, pointed out: “The Montreal Open situation is complex. Certainly, it is easy to see how these charitable poker players have been taken advantage of – mainly due to their determination to help the non-profit Miriam Foundation in their continued support for rehabilitative, vocational and residential services and programmes that promote increased socialisation and community integration for adults and children with intellectual disabilities or Autism Spectrum Disorders. 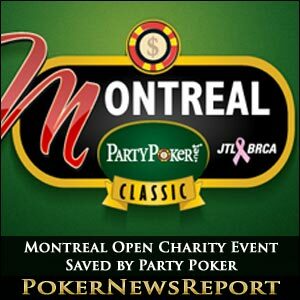 Thankfully, Party Poker have stepped up to the plate as the event’s new sponsor for the seventh annual staging of the poker tournament – now named The Montreal Party Poker Classic – that will this year support the Montreal-based Jodi Lazarus Fund for Hereditary Breast Cancer Research at the end of this month. Taylor is undoubtedly delighted that Party Poker have come to the rescue, saying that the website have “long been a favourite online poker site in Canada”, while also adding that “their contribution to the community is a reflection of their commitment” to helping those in need. Montreal’s Le Windsor Hotel will host the $275 buy-in tournament, with organisers expecting the prize pool to break through the $200,000 barrier as the competition promises 10 World Poker Tour (WPT) main event seats. Taylor added that the tournament “is a way for poker fans to get involved, and possibly win a seat to the World Poker Tour”, which will surely help attract a massive field – no matter the struggles faced by the winners from last year’s event. 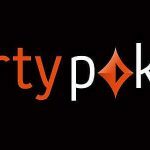 If you are interested in taking part in this worthy event, PartyPoker.net will run a special free Montreal PartyPoker Classic Championship Satellite on Saturday, March 10, at 16:15 ET (Eastern Time Zone) that is only open to players in Canada. Five players are guaranteed seats at the main event as well as $225 to assist with expenses, so making the package worth $500 in total. All players have to do to secure a seat in the satellite is play Party Poker’s daily freerolls and finish in the top three. While many player will not be able to “make it to the Montreal Party Poker Classic”, Taylor pointed out that “for players who dream of live competition…it’s still possible to qualify for major live poker tournament seats online”. As such, Taylor directed players to 888 Poker as they are “offering great chances for online players to win seats at live tournaments, including the 2012 World Series of Poker (WSOP)”. In fact, he believes that there have “never been so many chances for online poker players to get involved in big tournaments, whether to support Canadian causes or win big”. Those WSOP packages being offered by 888 Poker truly are amazing. Valued at $15,500, each package includes the $10,000 main event entry fee in Las Vegas, as well as $2,000 for travel arrangements, $500 spending money (to be given in cash once in Vegas) and eight nights’ luxury accommodation in a top-class hotel in the Nevada city. Moreover, successful entrants from the bi-weekly event – which is held on a Sunday at 20:15 GMT (Greenwich Mean Time) – will also gain access to the 888 Poker players’ lounge every day of the WSOP, where breakfast and drinks can be enjoyed, as well as a television, Xbox games consoles and a pool table. That’s not all, though, as each player will also be given an 888 Poker Live Event Merchandise Kit and an invitation to a special VIP event. If that sounds good to you, take a trip over to 888 Poker and register for Poker News Report’s exclusive 888 Poker first-deposit bonus of up to $600 – and $8 free – then battle through the satellites for a chance at WSOP glory.